This estate was one of Joe Dressner's and Denyse Louis's first additions to their nascent import book: they tasted there in 1987 and were smitten with these unusually rich, complex white Burgundies. Jean Thévenet and son Gautier produce Chardonnay from three different family properties in the Viré-Clissé appellation in the Mâcon region of Burgundy. There are two "younger" domaines, Emilian Gillet and Roally, but the true heart of Thévenet is the original estate of Domaine de la Bongran. Jean's father began piecing it together after WWI; today it remains a very small 4.5 hectares of sustainably farmed vines on chalky clay soils on a limestone ridge overlooking the Saone River. The vineyard consists entirely of old Chardonnay clones, treated minimally with only copper and sulfur as needed.. The name "Bongran" has been attributed to a couple of different sources, but Jean's research revealed it to be a reference to a priest by the name of Bongran who once owned some of the vines. Jean, along with his son, has stayed true to his own father's winemaking practices which have long distinguished Bongran wines from all other Viré-Clissé producers: later harvest and thus greater ripeness of the fruit with touches of botrytis at times; minimal intervention in the cellar, including a very slow pressing, lengthy settling and a slow, spontaneous fermentation lasting up to two years; and years of bottle-aging in the Thévenet cellar before release.Domaine de la Bongran bottles only one wine annually, their Viré- Clessé, a unique and oft-controversial bottling due to predictable traces of residual sugar, a result of the Thévenet hands-off approach. While the wine does not drink sweet, it does have an extraordinary richness of flavor and texture along with its characteristic firm acidity and minerality. In certain vintages, Bongran also produces a touch of fully-botrytized, sweet Chardonnay called Cuvée Botrytis (which cannot carry the Viré-Clessé designation). Both wines pair well with rich savory dishes and cheese and age and evolve beautifully, especially in the Thévenet's cold cellars. Domaine de Roally is a newer but no less important part of the Thévenet estate, separate though it is from the home estate. The proprietor of Roally was Henri Goyard, an old schoolmate of Jean's and a similarly minded vigneron. 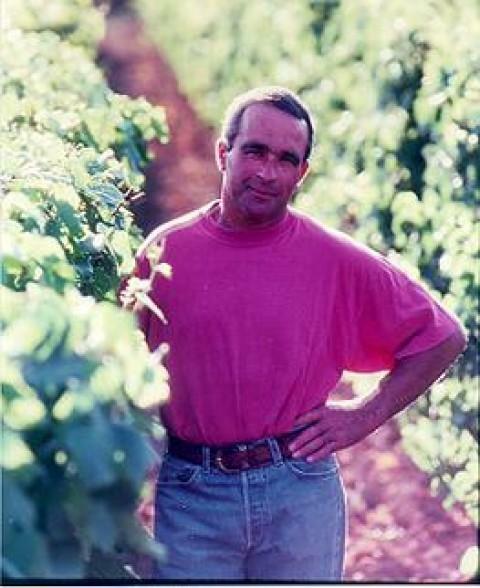 When Henri decided to retire after the 2000 vintage, Jean's son Gautier took over his 14 hectares, which are farmed and from which wine is made just like all things Bongran. The fermentation and aging are less extended than that of the Domaine de Bongran Viré-Clessé, to produce a wine ready to drink sooner after the vintage, but the underlying principles and techniques are the same, including the presence of a bit of residual sugar in the finished wine. Notably, both Bongran and Roally never see any oak--they are both fermented and aged in tank. It is worth noting that when the Viré-Clessé AOC was created in 1999, the regulations mandated a maximum of 3 g RS, so neither of Thévenet's wines made that cut AOC; they were downgraded to Mâcon-Villages as a result. But the sweltering 2003 vintage led to the entire region's ending up with RS in their wines, so the restrictions were loosened and the Viré-Clessé label became possible for Bongran and Roally. The idea of sweetness in a dry white Burgundy may sound strange but to Jean Thévenet's and his generation's way of thinking, a touch of residual sugar was part of the expression of the grape in this terroir, which lends itself to full ripeness, completely natural and balanced by vibrant acidity and minerality of the limestone-rich soils.